Long before your wedding day arrives, you can give guests a taste of your style (and provide all the info they need) with stationery. From your engagement announcements and save-the-dates to the post-wedding thank-you notes, not to mention your wedding-day paper suite, the Southeastern Wisconsin stationers here will create a collection that’s uniquely yours. These designers work with clients to pull together papers, fonts, colors and embellishments to achieve exactly the look you want, whether it’s elegant and traditional or fresh and modern. Note: The contents of this guide were checked for accuracy when this article was updated on April 15, 2012 at 8:14 p.m. We continually update the articles on WedInMilwaukee.com, but it’s possible some details, specials and offers may have changed. As always, we recommend you call first if you have specific questions for the businesses mentioned in the guide. Special Feature: Commits herself to going all out in the name of doing exactly what’s right for each couple. Special Feature: Custom invitations, styled to match the event & personality of the hosting couple. Complimentary consultations available! Special Feature: Be pleasantly pleased by the service and creativity of this papersmith boutique doing custom designed, hand-crafted wedding invitations, stationery and day-of pieces. Don’t forget to check nationwide stores such as Michael’s, Target, Hobby Lobby and more for their stationery offerings, as well. Did we miss a Southeastern Wisconsin stationer? Let us know in a comment below, or email us! 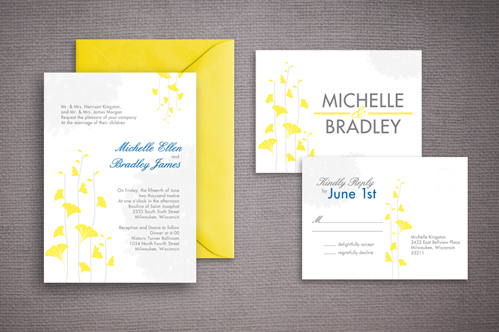 I have used Paper Lily Designs before for invitations. It’s some of the best work I’ve seen!! I’ll definitely be going back for my next party!